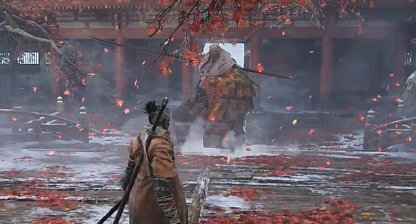 Check out this Sekiro: Shadows Die Twice guide and walkthrough for the Wedding Cave Door ~ vs. Corrupted Monk. This includes boss fight tips & tricks, and more! Without the Mortal Blade, you won't be able to summon the Rope Being that will take you to the Fountainhead Palace. Get the Mortal Blade from the Divine Child in the Inner Sanctum. 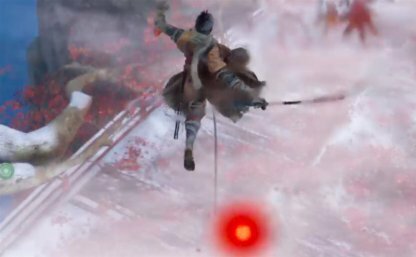 The Corrupted Monk's posture bar fills up pretty quickly by parrying its attacks and dealing a bit of damage to its health bar. 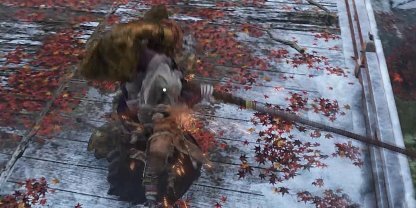 Focus on parrying then wait for openings to attack. 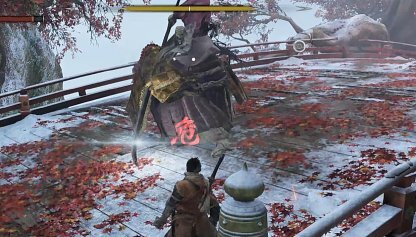 There's a way for players to assassinate deathblow the Corrupted Monk twice during its battle. You can do it when it first appears and the second will be where it reappears after creating illusions. When the Corrupted Monk creates its illusions, immediately grapple across the trees. Keep moving between the trunks so the illusions won't be able to hit you with its attacks. Alternatively, you can use a Snap Seed to cancel out the Corrupted Monk's illusions. Activate the snap seed from high up a tree branch. Do it quickly as the illusions have an attack that can reach you there. Jump up when the Corrupted Monk does its low swipe perilous attack. You can put in a few strikes against the Corrupted Monk before landing down. After a series of swing combos, the Corrupted Monk will end it with a Thurst Perilous Attack. Use the Mikiri Counter for it and attack the Corrupted Monk in the few seconds it's stunned. 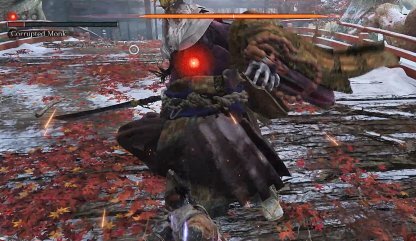 At its final phase, the Corrupted Monk will have a centipede throw attack that will deal terror damage to Sekiro if he's caught in it. Escape it by either jumping back or dodging to the side.